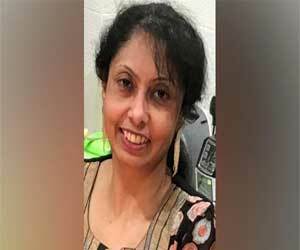 London: An Indian origin General Practitioner has recently been reported to be missing from the southwest of the United Kingdom. The doctor recognized as 42-year old Uma Kulkarni had completed her MBBS qualification from Nagpur University in 1999. She got herself registered with the General Medical Council to practice in the United Kingdom in 2015. In England, she was residing in Herefordshire and she was estimated to be travelling to the Avon and Somerset area as her car, a bronze-colored Toyota Auris was found near the Severn Bridge crossing in the region. Dr Kulkarni was most recently employed as a general practitioner at the Cantilupe and Hampton Dene surgeries in Hereford. The Avon and Somerset Police released an appeal note that stated, “Uma is a 42-year-old Asian woman, 5ft tall of slim build. She has black hair and both her ears are pierced and she normally wears earrings. It is not known what Uma was wearing when she went missing. A concern is growing for her welfare because there has been no contact from her”. The police asked for the public assistance to help trace the missing doctor. The police are urging people living near to the Severn Bridge or in North Somerset to be “vigilant” and urged anyone with information on the missing person to contact them, reports PTI. The police team carried out an investigation in the area near the Severn Bridge, which links England with Wales to find the missing medical practitioner.